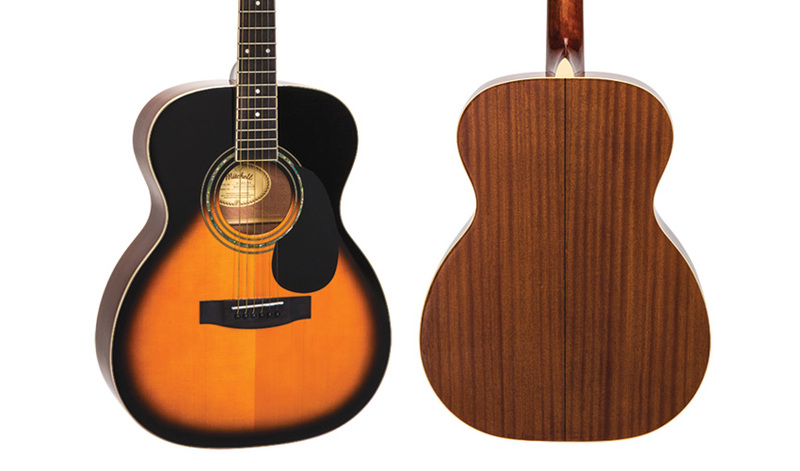 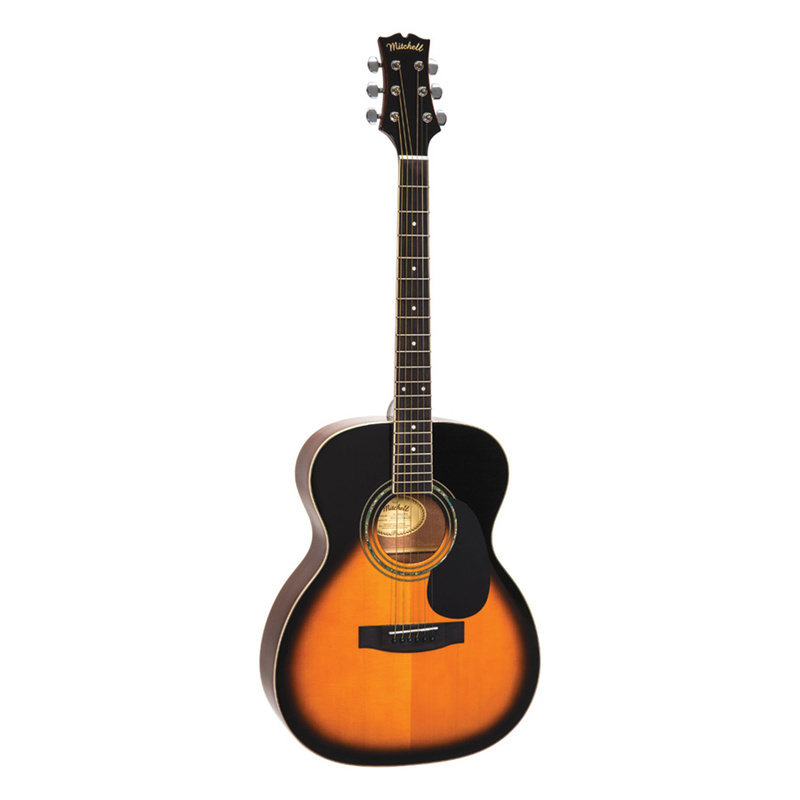 The Mitchell O120SVS Auditorium Solid-Top Spruce Acoustic Guitar is the ideal smaller instrument for musicians on the go or for those who find a larger guitar less comfortable to play. 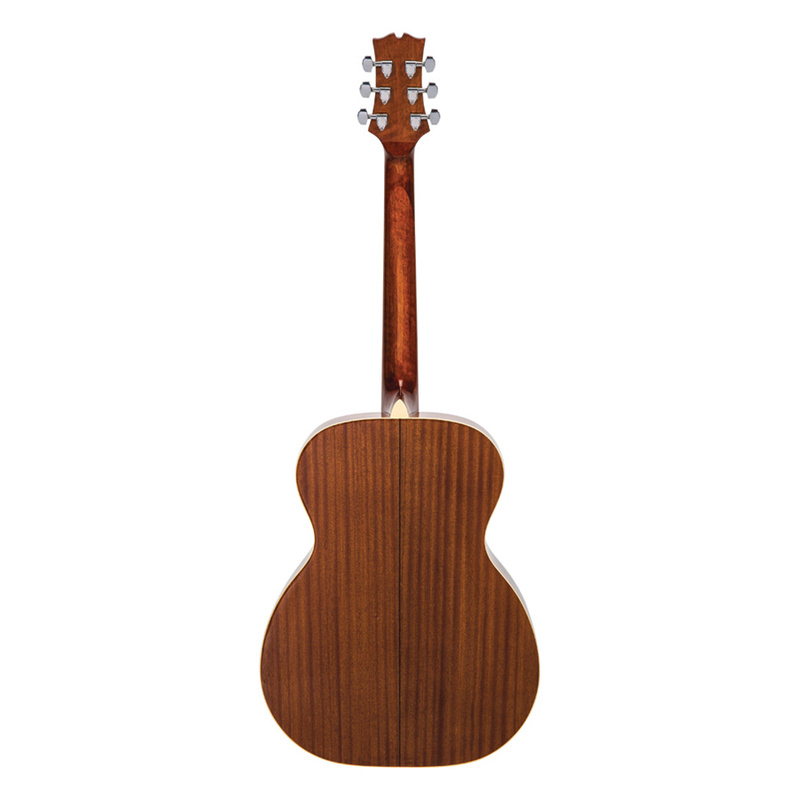 Though smaller in size, it comes filled with pro features such as a solid Engelmann spruce top for superior tone and resonance, mated to volume-enhancing mahogany back and sides for warmth. 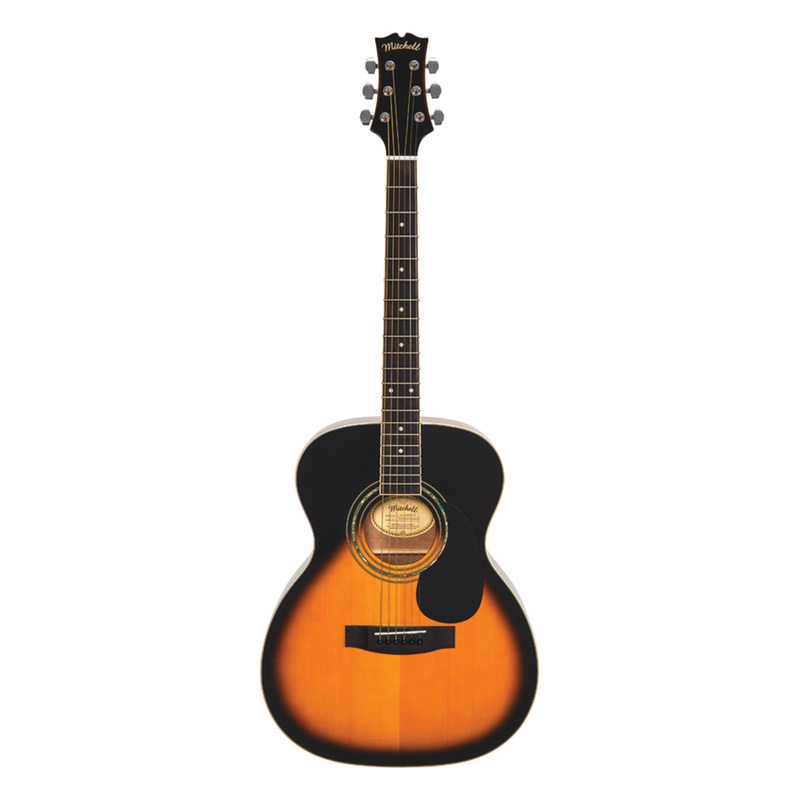 The lighter gloss finish and scalloped bracing combine to improve the overall volume and projection of the instrument, while the bound body is topped with a dramatic Vintage Sunburst finish, giving it the classic vibe of a vintage instrument.